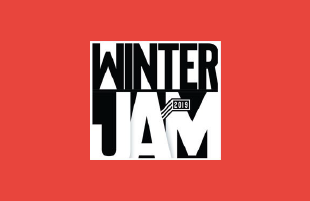 Join Christ Youth for Winter Jam 2019! Headliners such as Newsboys, Danny Gokey, and Rend Collective along with many more will be performing. This event is held at Intrust Bank Arena. This would be a great event to bring a friend. Parents are more than welcome to go as a chaperone. Bring money for your ticket ($15) and dinner at Five Guys Burgers. The expectation for this event is to meet up for dinner, wait in line, enter the arena at the same time and sit together! We will meet at Five Guys Burgers: 1025 E. Douglas Ave. Wichita, KS 67202 at 4:00 PM to eat. Then we will head over to INTRUST to get in line. Doors open to WinterJam at 6:00 PM. The concert begins at 7:00 PM.